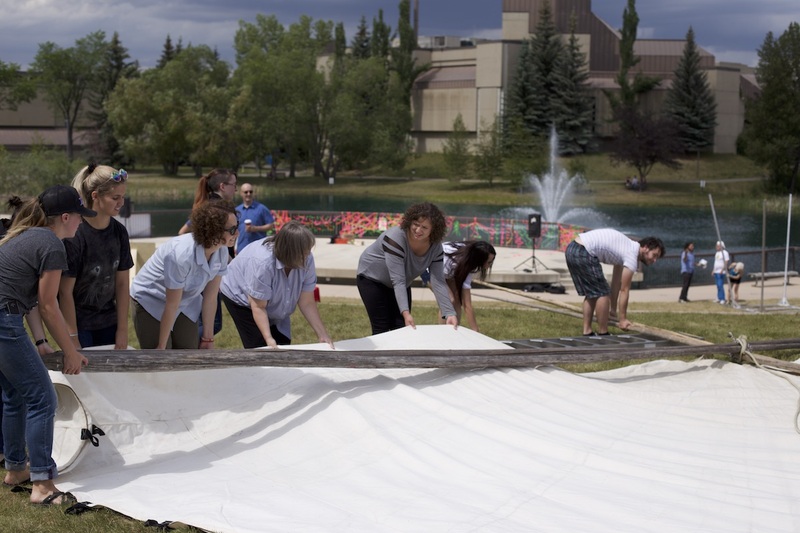 As a group of undergraduate students at Mount Royal University in Calgary, Canada our key goal was to bridge generations. 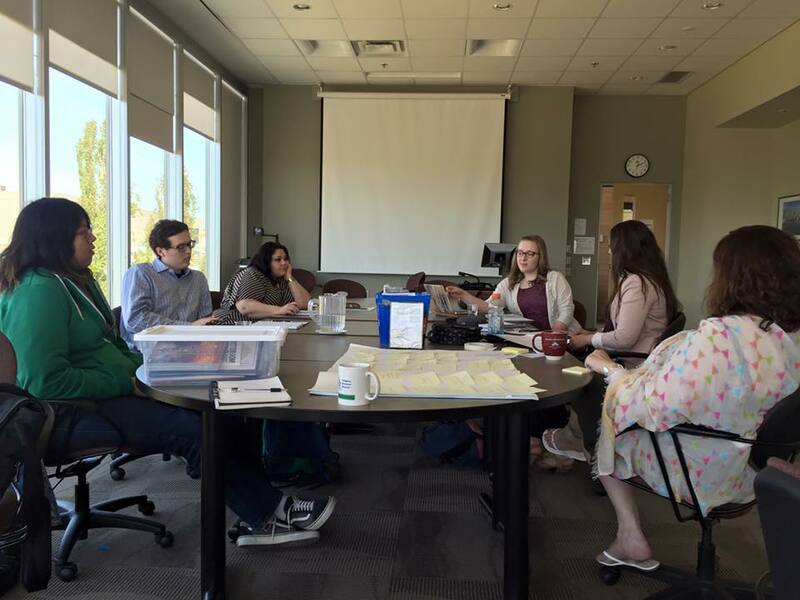 Given the time, resources, and the Elder in the Making lm, we have worked diligently between Elders and communities developing materials that we hope will affect and offer wisdom to educators for seven generations to follow. We feel this is the start, one perspective, and an application of wise practices; a beginning. The lessons are arranged around a key idea, linked to a speci c clip or section of Elder in the Making, with a laddering pedagogical pathway from Groundwork, to Above and Beyond. 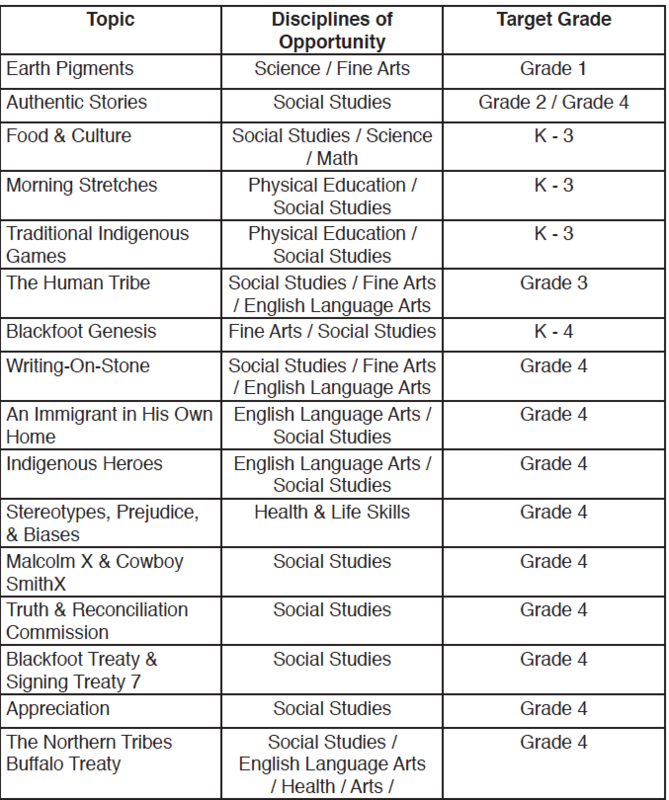 Each lesson plan highlights speci c Connections to Curriculum and is organized according to disciplines of opportunity, with suggested grade levels. Lessons are available both as linear text documents and as rich illustrated posters with star constellations comprised of imagery inspired by grassland ecologies and wildlife. We offer Powwow Jingle Dance teaching videos and Dancer Bio videos. Use all resources. Build on them, co-create, and contribute to the project. 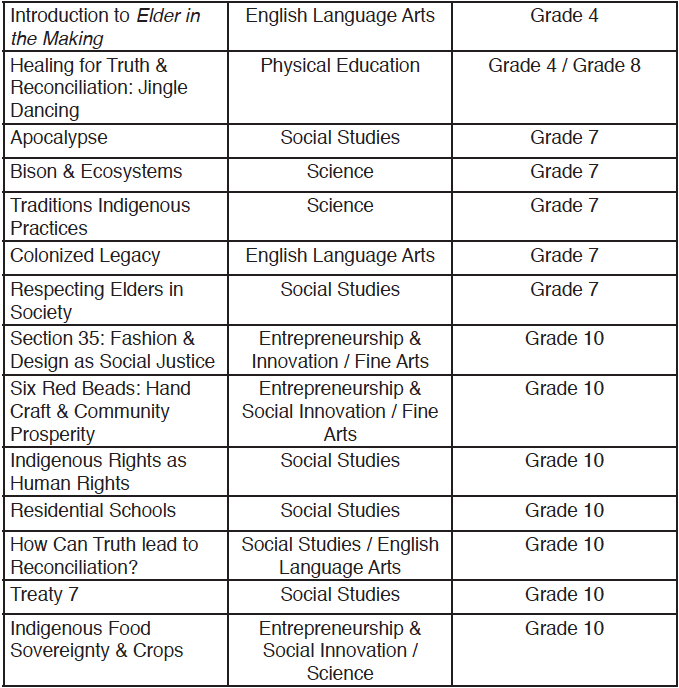 We believe that educator engagements with this material be inclusive of a visit to the National Centre for Truth & Reconciliation website, a review of 2015 reports, and the 94 Calls to Action. 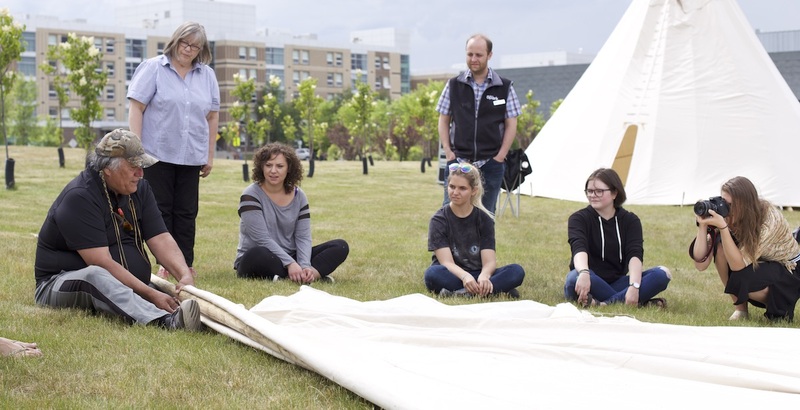 While the lessons cover a range of topics related to the lm including Treaty 7; the importance of the bison to Treaty 7 Nations, neighbour communities, and ecosystems; the realities and impact of Residential Schools; and explorations of the concepts of being an Elder, these lessons are fundamentally about respect, kindness, humility, patience, truth, self awareness, honesty, courage, hard work, wisdom and love. These are sacred teachings and the bedrock of relationship and reconciliation that could be the basis for some incredible experiences in your classroom! We share these lessons in a reassuring and inspiring voice and encourage you to do the same. Much is new to students and their families, and much is misunderstood. Everyone can care and advocate for Indigenous issues. Pluralism is one the best and most inspired concepts you can introduce and reinforce with students. Each First Nation, Métis Nation, and Inuit communities are distinct and different. Take every opportunity to create dialogues about the diversity of cultures, peoples, languages, and practices within and among each. Challenging the idea that all Nations are not the same is key to decolonizing, disrupting old habits and mindsets, and building awareness and respect for the unique identities of and within all Nations and communities. Sign up for our newsletter and receive examples of the curriculum plan. Or buy the Educational License and get the whole Lesson Plan for your classes. 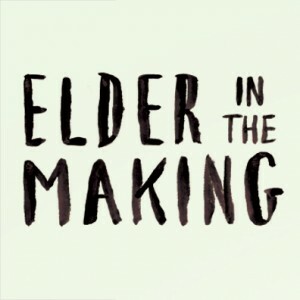 Get in touch if you want more information: info@elderinthemaking.com And finally, get to know the students who helped us developing the lesson plan.